The time has come to say farewell at EC Manchester to our amazing Student Service Intern, Levi. “I worked as a Student Service Intern for EC Manchester for five months. Back home in the Netherlands I’m studying to become a translator and this internship was meant to get “fully emerged in the British culture” and improve my English language. 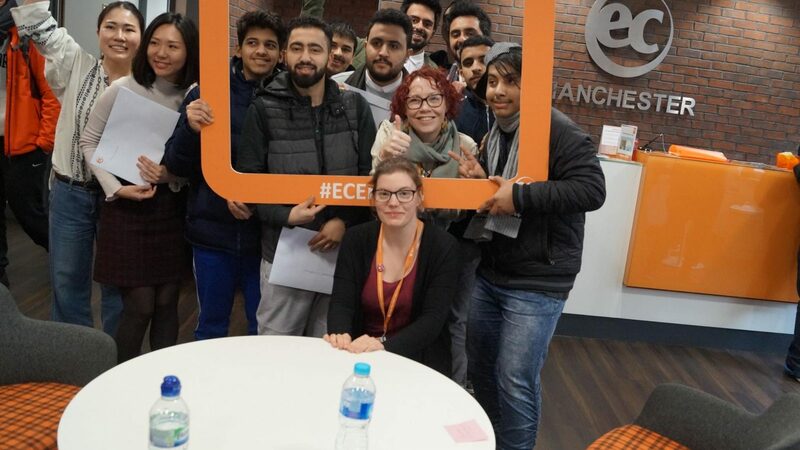 While working at EC and living in a home stay in Manchester, I learned lots about the British way of life and also had many interesting conversations with students who taught me all kinds of different cultures. For example: I learned Cuban Salsa from a Polish man, I spoke to students from Saudi-Arabia and Oman about marital law, I discussed corruption and poverty with students from Colombia and maybe even most dangerous of all…I told Brazilians my opinion on football. I had an amazing time in Manchester. If you ever come to visit, please go to Monton and take a walk in the beautiful Broadoak Park, try chips with gravy and if you go and see any cultural building at all, let it be the John Rylands Library, because to me that is the embodiment of the Mancunian spirit. It represents the hard-working but also social history of the people and how curiosity never goes out of style. From all the students and staff at EC Manchester – Thank you Levi for all your wonderful help and hard work and for adding an extra cheery smile to the reception desk every morning!